Picnic lunches on your day with the whales and other abundant marine life are most often eaten in the boat while drifting. It is sort of like the movie “Feed of Dreams” in that the drifting means that all is quite and most mammals are curious and will come to investigate something that is different. 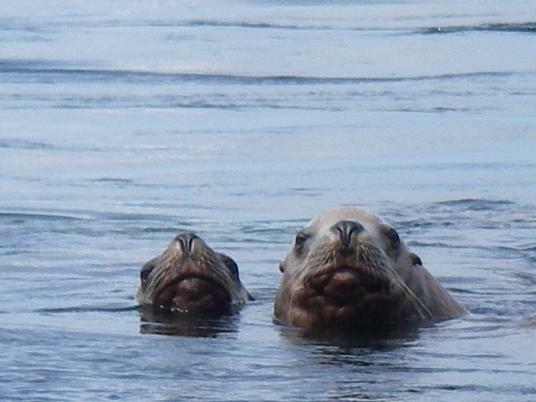 The different being a boat without a motor running which allows a much closer approach from these Steller sealions. 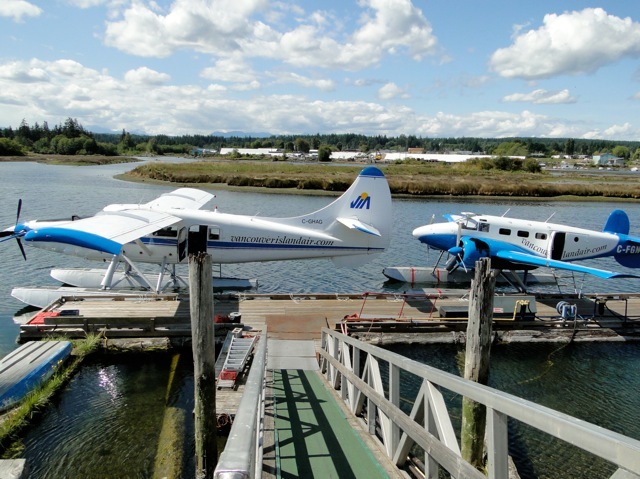 The first photo is a view of the departure dock in Campbell River. 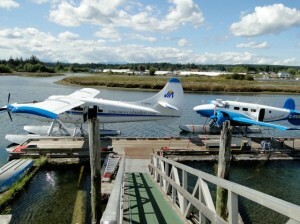 Guests leave Campbell River on Vancouver Island once they all arrive and their luggage (any extra room on the plane is filled with food for the lodge) is loaded. Departure by 3:00 or earlier is possible. 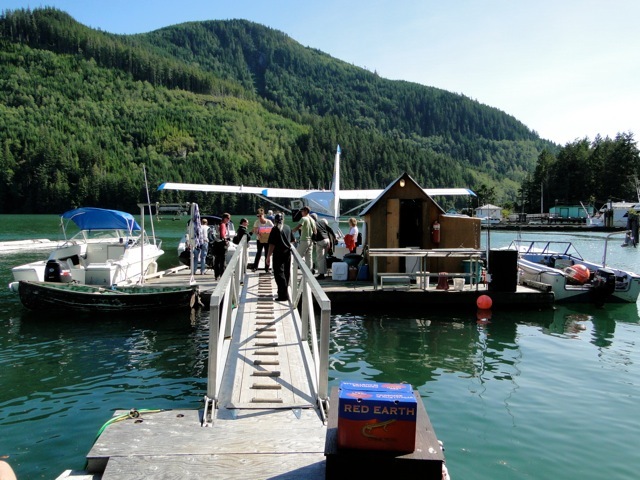 The flight to the lodge is approximately forty-five minutes and be sure you have your camera ready, as there are some great photo opportunities over the coastal inlets and mountains. Once you arrive there is about thirty minutes of controlled chaos. Often there are eight guest coming and eight guests departing. The arriving guests want to hear for the departing guests how their trip was to gage their chance of success and normally the departing guests want to stretch their stay as long as possible so are glad to talk. Within all this we need to exchange luggage on the plane, incoming for out going, as well as unload any food we managed to get on board. 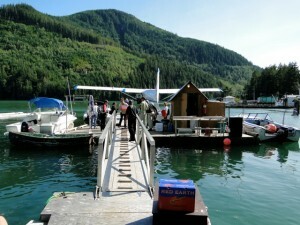 The high tide provides a level ramp and makes us all happy when we carry luggage and food boxes to the lodge.